Did you know The Simpsons is the longest running animated TV show in history? Well it is. And now you can visit the real fake town of Springfield at Universal Studios Hollywood in California. NOW OPEN! The show’s creators, producers, production companies, voice actors, as well as Fox and Universal have put together an amazing feat of bringing The Simpsons Springfield to life in the middle of a fully functioning theme park without closing down and opening a massive expansion area in the center of Universal Studios Hollywood. 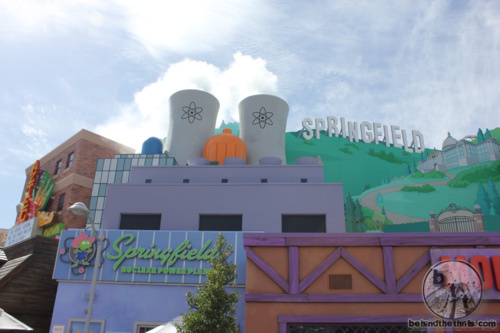 From large 3D character sculptures, interactive gags like the nuclear plant blowing up and Bart Simpson’s prank calls to Moe’s tavern, bright colorful signs, facades and decor, tasted new eats and treats, the new Springfield land is a welcomed addition to the park. You’ll hear The Simpson’s sounds and music play around you as you walk into different areas of the land, see video clips on TV monitors in rooms and locations inside the restaurants, and surprises like the Krusty the Clown, Sideshow Bob, and the whole Simpsons family walking around so you can get the selfie with Maggie you’ve always wanted. Video-Take a walk through Springfield at Universal Studios Hollywood! Let’s talk about the food. (My Favorite Part). Theme parks have moved beyond the average burger, salad and churros. 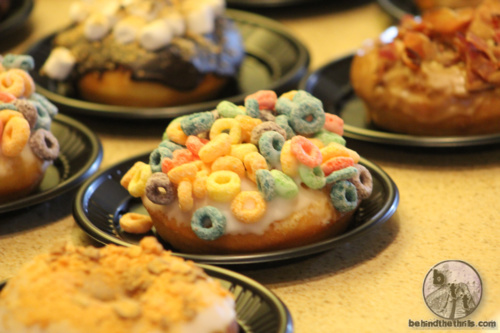 That’s something that Universal has excelled out in general, with a wide variety of new dishes at their parks worldwide. 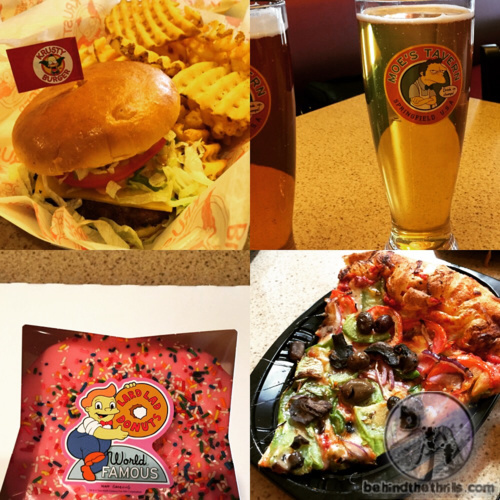 With Springfield, the food is as much of an attraction as the rest of the new additions. In fact, in many cases, it’s more so. Things like Lard Lad donuts come off the small screen, and into real life. 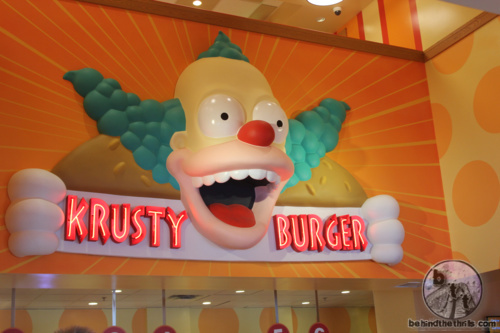 You can drink a real live, Flaming Moe (minus cough syrup and cigarette butts, of course), and even get an amazing Krusty Burger. The food, more than anything, is the reason to go to Sprinfield. While the new additions are great, the food is the main attraction. Yes, there’s even DUFF Beer. The favorite drink of Homer, Barney and the rest of the Springfield gang. For those that may not be beer drinkers, you’ll find Duff to be surprisingly light, and refreshing. 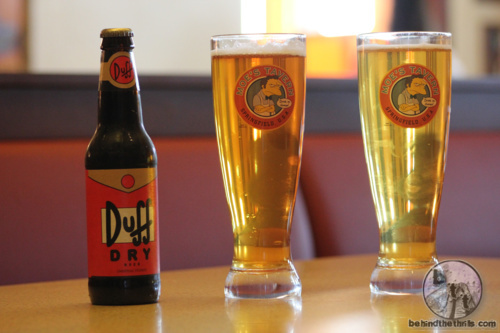 The beer comes in three varieties- Duff, Duff light, and Duff Dry. The first two are very similar to each other, but Duff Dry is a darker beer for those who love the thicker richer flavors. If you’re looking for a place to find Duff in your local stores, don’t bother. 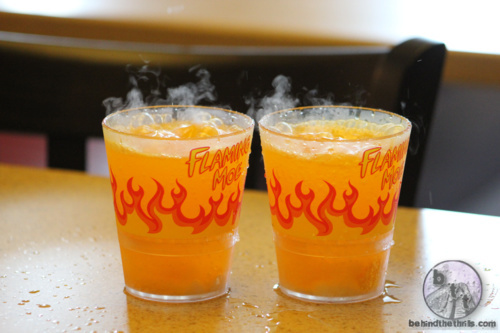 It’s brewed especially for Universal Studios Hollywood, and is a closely guarded recipe. The area itself just makes the show come to life. 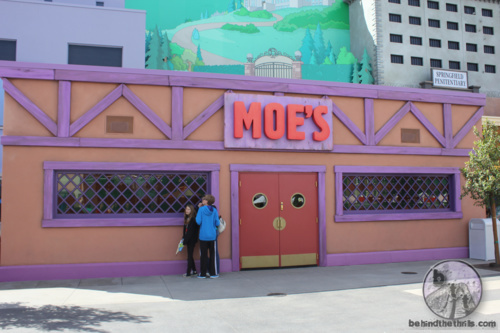 When you look at Moe’s Tavern, it’s the EXACT layout and color scheme as the show. It’s Moe’s! The area also makes great use of the space it has, and actually uses the facades. While they look great, they also have a use. 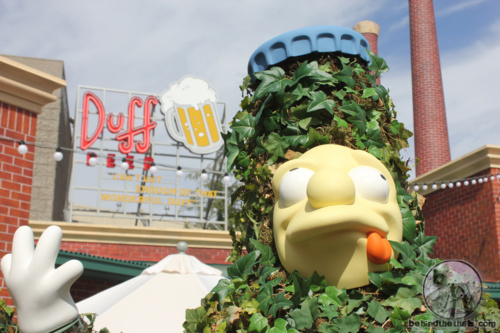 For example, in Moe’s Tavern the pool table has been converted into a seating area, The Duff Brewery has multiple indoor and outdoor seating areas like a beer garden, and The Android’s Dungeon is also a seating area. There’s also a couple hidden references like “Spider Pig” from The Simpsons Movie. Being by surrounded the highly recognizable sights and sounds of The Simpsons in Springfield will make you want to binge-watch all 26 seasons, that’s 580 episodes plus a movie! 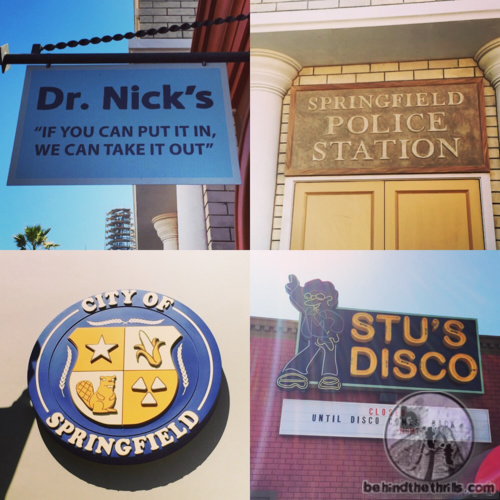 So, what does it take to bring something like Springfield to life at Universal Studious Hollywood? We spoke with Jon Corfino, the Project Director & Executive Show Producer for the new Springfield Land expansion at Universal Studios Hollywood in California to find out. 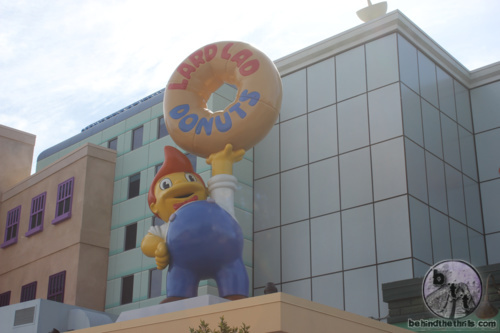 Slideshow-Check out even more pictures from Springfield at Universal Studios Hollywood! Universal Hollywood created a portal right into the television show, and it has given guests a way to live like a Simpson. The all new area excels in what Universal has done all along, and that’s bring the movies (and TV shows) to life. 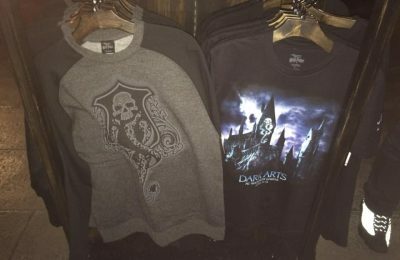 It’s also a tease of what the park has in store when it opens The Wizarding World of Harry Potter next year…and if you’re impressed with Springfield, just wait! 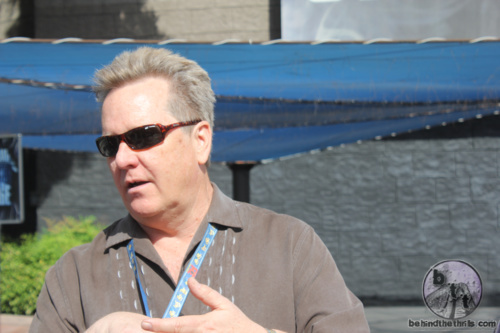 Stay tuned for more from Universal Studios Hollywood, and be sure to get social with us on Facebook and follow along with us on Twitter @BehindThrills for the latest updates! For more information about Universal Studio’s new Springfield land as well as other new attractions, including tickets, visit the official website by clicking here!